Studio and Garden: On William Gass's "On Being Blue: A Philosophical Inquiry"
Thank you for the review, it sounds very interesting. Have a nice Sunday. 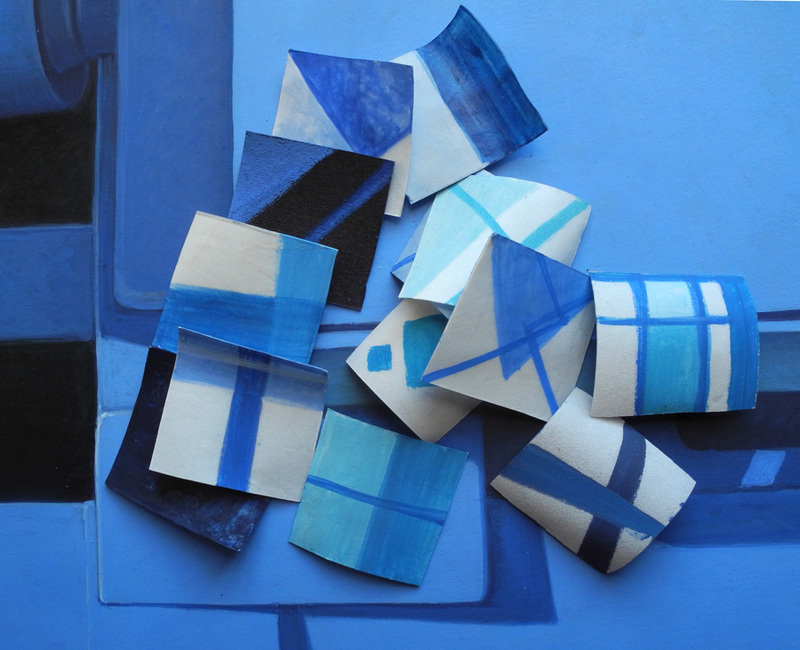 I love the assemblage at the heading--it's as if all the clipped papers of blue rushed to gather there. That last sentence is sad but speaks of something necessary, to give up things of this world in order to create. James, I photographed my recent blue paintings for the header. I agree that Gass is saying there's a sacrifice needed for making art. Does that mean you're an environmentalist, JBS?